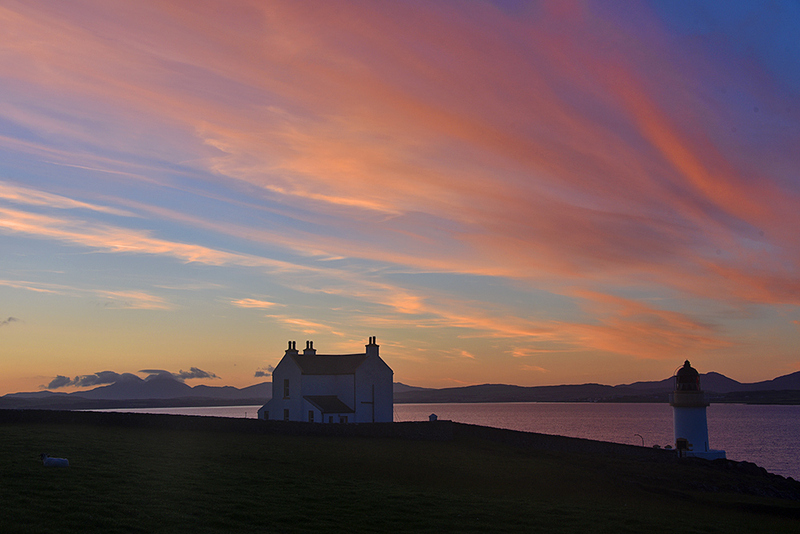 A beautiful June dawn on Islay, the early light before sunrise illuminating sky and landscape. The house is Lochindaal House, the former lighthouse keeper house for Lochindaal lighthouse on the right. The Paps of Jura visible in the distance on the left.